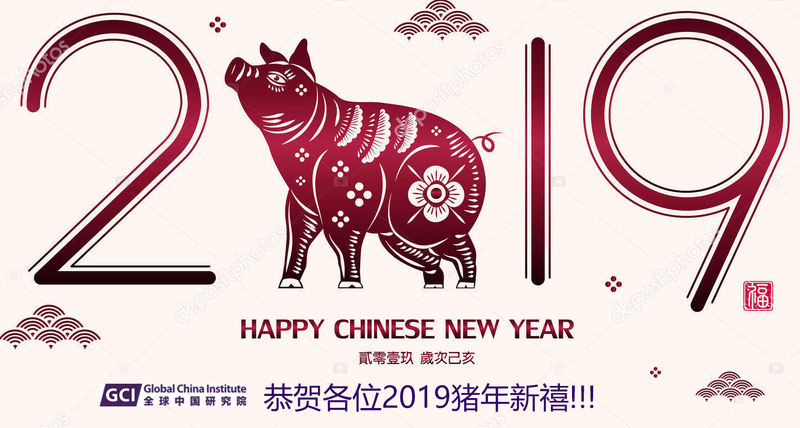 As the Year of the Pig 2019 starts oinking, as usual it is our pleasure to send you our best wishes for the year and take the opportunity to give you an update on our situation and activities, with links to our websites. We hope that you will continue to lend us your valued support, interest and participation in our activities. 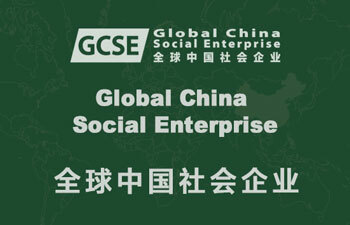 Aims: Global China Institute (GCI, an affiliate member of The Academy of Social Sciences, UK registered charity No. : 1154640) continues to pursue the aims of CCPN Global, which was founded four years ago, to promote the study of China in comparative perspective in all aspects, and to participate in the building and governance of a global society. As a bridge between China and the rest of world, the Chinese and the non-Chinese, GCI produces both global public good and public goods with the aim of serving all mankind. Personnel: There are seven categories of people involved in the Global China Institute’s work: 1) outsource experts – in fields such as copy editing, proofreading, typesetting, graphic design, printing, website design and maintenance, legal advice, accounting and logistical arrangements for visitors, 2) staff, 3) Editorial Board, 4) International Consultants, 5) Academic Advisory Committee, 6) Interns and Trainees, and 7) members (about 5,000 signed up, currently non-paying). All the people who are listed in the links above work on a voluntary basis, some playing more than one role. Through them, the Institute interacts with a great number of research and academic institutions and other organizations around the world. Without them our work would not be possible. Last year, at the 5th Global China Dialogue held at the British Academy, we were very honoured that our guest Professor Lord Anthony Giddens presented letters of appointment as Honorary Presidents of the Global China Institute (GCI) to Professor Martin Albrow and Professor LI Qiang (accepted in his absence by Professor LIN Jian, Editor-in-Chief of the Journal of Renmin University of China). Mrs Ingrid Cranfield and Dr ZHANG Xiaodong received letters of appointment as Deputy Presidents of GCI; Mr. Philip Hao and Mr WANG Yigang as Deputy General Secretary of GCI and Chinese Director of the Global China Thinktank (GCT), respectively. This occasion was chaired by Professor Chris Hamnett of King’s College London (see photos below). Structure: Global China Institute consists of CCPN Global, Journal of China in Comparative Perspective (JCCP), Global China Thinktank, Global China Dialogue, Global China Press, Global China Social Enterprise, Global China Ecommerce, and Global China Ecommerce Platform, in the furtherance of its academic and social mission. These sections of the GCI also participate in different professional activities separately as independent brands. On the above occasion we also announced the establishment of two research centres. They are Learning without Borders Global Education Comparative Study Centre (LwB-GEx) and Himalayan Civilization Comparative Studies Centre (HCCSC). The two centre Directors, Mr. Philip Hao and Mr. WANG Yigang, respectively, spoke at the evening Reception at the UK Parliament. 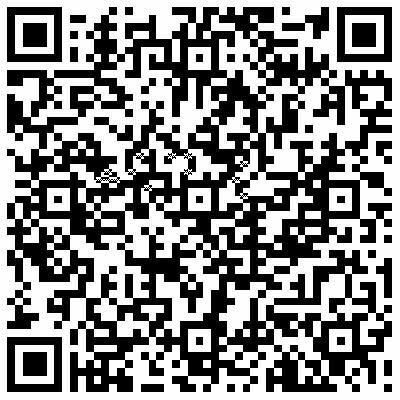 Offices and facilities: Global China Institute is effectively a virtual academic community, as its operations are mainly internet-based, although its offices in London and Shanghai are shared with our partners. In order to comply with GDPR, all the websites, blogs (click each blogs from the top menu) and the ecommerce platform of Global China Institute have moved from a US host to a UK host. We have also upgraded our back-end system, replacing all links and dealing with other issues. The comprehensive update is expected to be completed in 2019. Your patience while these processes take place is much appreciated, and your comments and feedback are welcome. Thank you. Work in progress: Through its English and Chinese bilingual websites, the only ones of their kind in the English-speaking world, and a global network of experts and professionals, we coordinate mainly five strands of work, described below. 1. 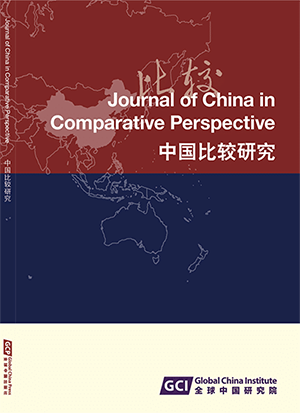 CCPN Global mainly promotes ‘China and the Chinese in comparative perspective’, via a global network and a peer-reviewed journal. 1) The CCPN Global website provides resources related to China and the Chinese in comparative perspective. We will continue providing this service by updating the resources and also adding related work from China. 2) In light of our limited resources, in order to ensure the quality and sustainable development of knowledge products, the Journal of China in Comparative Perspective (Chinese edition), Chinese for Social Sciences (CSS, in Chinese), Corpus Approaches to Chinese Social Sciences (CACSS, in English), and Computational Social Science and China (CSSC, in English), will be produced biennially from now on. Following the research project on the status and prospects of the social sciences in the era of big data, funded by the China National Social Science Fund (NSSFC) in 2016, we have expanded cooperation with relevant research teams at Tsinghua University. 3) Globalization of Chinese Social Sciences (GCSS) is still our key project. 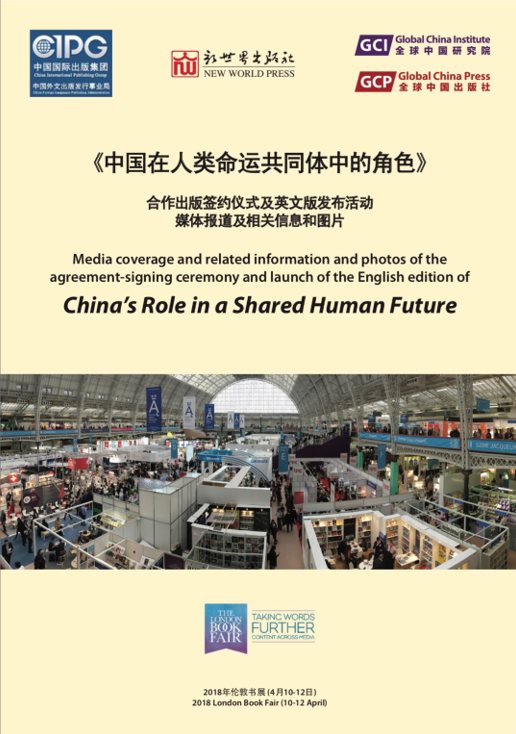 Last year, at the London Book Fair, we launched China's Role in a Shared Human Future: Towards Theory for Global Leadership, by Martin Albrow (its Chinese edition will be published by The Commercial Press in 2019). We also published A Record of Launching Martin Albrow's book China’s Role in a Shared Human Future, edited by Xiangqun Chang and Costanza Pernigotti. Based on the media coverage, it recorded additional in-depth information on the theoretical and methodological implications of this book and the book launch event. 2. At the official launch of the Journal of China in Comparative Perspective (JCCP) at the 2nd Global China Dialogue at the British Academy in 2015, Emeritus Professor Stephan Feuchtwang, of the London School of Economics and Political Science, sent a message saying, ‘I hope you will accept my congratulations to Xiangqun and all her co-workers in preparing and now publishing the new Journal of China in Comparative Perspective, which builds on my initiative at the LSE where I designed the still thriving Master’s degree on China in Comparative Perspective. The journal and the two book series are an amazing accomplishment, an entirely independent endeavour, and I hope that, given a secure base, they too will thrive.’ The ‘new JCCP’ that he mentioned had in fact not yet been fully developed as a separate entity from the ‘old JCCP’, which was prepared at the LSE with a large editorial board, academic committee and international advisory committee. We inherited these advisers together with proposed biannual journal. Last year, we learned that, in order for the journal to be indexed in the SSCI, each article needed to have a DOI and the quality of the journal had to be consistently high. The new JCCP has greatly expanded comparative studies with China in its content. In addition to the social scientific studies of China, we included humanity studies of China, Chinese people, civilization, culture, language and Chinese ways of thinking. The new JCCP has now changed to an annual journal and the changes are reflected in its updated web page. We have decided to considerably reduce the editorial and advisory team, which is inordinately large for a journal of this size and scope. However, we are very grateful to these scholars and experts for their support and encouragement over many years and we sincerely hope that they will continue to maintain their association with us and help as needed. We shall be writing shortly to all the current advisers individually to ask whether they wish to be part of a new editorial board. 3. Global China Press remains the only publisher of bilingual publications from Chinese and non-Chinese perspectives on China and the world in a global context. 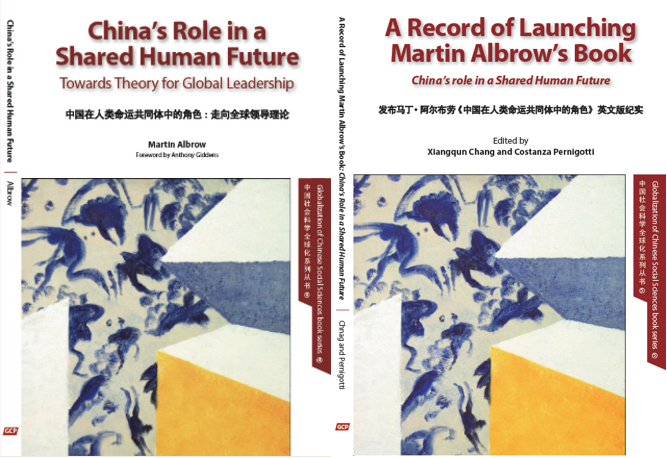 GCP was proud to publish Martin Albrow’s book China's Role in a Shared Human Future: Towards Theory for Global Leadership. The impact of the launch was so great that we also produced a book about media coverage (see photo of the cover). Despite changes in the leadership of China International Publishing Group (CIPG) and managers of its agents in the UK, as well as the president and editor-in-chief of New World Press, our collaboration has not been affected. The photos below are a testimony to our collaboration since 2013. In addition, we have also started working with Commercial Press. 4. As a knowledge-based thinktank for social consultancy in a global society, Global China Thinktank (GCT) mounted two forums with two partners last year. The first was a pre-China Global Dialogue event with the Agile Thinktank entitled ‘Digital Interconnection and Intelligent Manufacturing – Social Change and Cultural Transformation in Global Society’, held on 6th December 2018 at the University of Westminster. We believe that worldwide interconnected intelligent manufacturing will support the global allocation of production resources and standardize production equipment. Global interconnected wisdom will inevitably build a human society with common methods of production, resource pooling and wealth sharing. The global era is moving towards the digital age. From this emerges the sharing economy and a constant fracturing and reshaping of the world order. 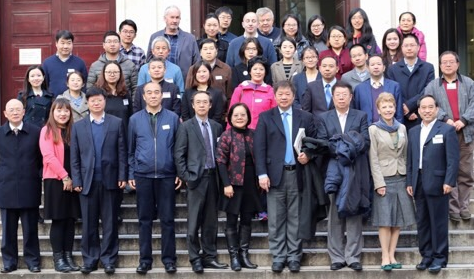 Second, a post-Global China Dialogue event, in collaboration with the China National Knowledge Infrastructure (CNKI), entitled ‘Academic Publishing and Knowledge Service for China and China in Comparative Studies’, was held on 8th December, as SOAS, University of London. With globalization, achievements in China studies around the world have lately attracted increasing attention. The forum involved leading Chinese academic publishers, librarians, scholars, study centres and internationally known social scientists, discussing how China’s academic publishing can gain international recognition, how China studies and comparative studies on China are developing in the world and digital solutions for knowledge management and academic collaboration. It is hoped this will make cross-faculty, cross-institute or even cross-country academic cooperation more effective, promoting and enhancing the influence of academic knowledge acquisition and dissemination. 5. The theme of the fifth Global China Dialogue was ‘global governance for justice’. This theme has gained in relevance as the world’s governance system comes under ever greater strain from national reactions to globalization. Justice is the taken-for-granted basis of human relations, from the personal to the global. It comes into sharp focus whenever they are disrupted and injustices come to light. This dialogue, in plenary sessions and in four panels – inclusion, environment, rights and conflicts – reviewed the basis for global governance and examined how China can contribute to a just global order. 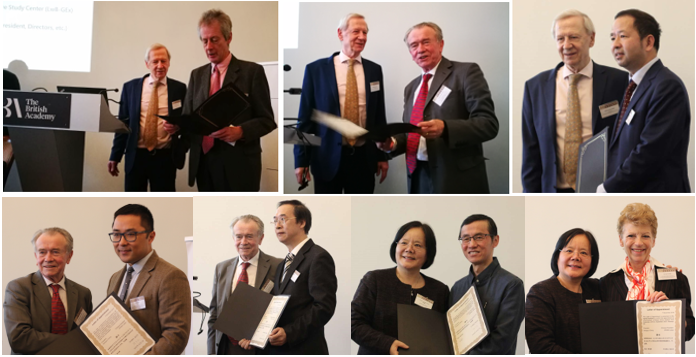 Nearly 100 speakers, academics, professionals, practitioners and officials, from Australia, China, Czech Republic, Germany, Hong Kong, the UK and the USA, participated in the GCD V at the British Academy on 7th December and an evening reception at the UK Parliament. The photos above left show most of the speakers at the GCD V: we sincerely apologize to those whose photos have not been included, owing to limited space, but they will be included together with their speech notes to be published in the GCD V proceedings in English and Chinese editions. 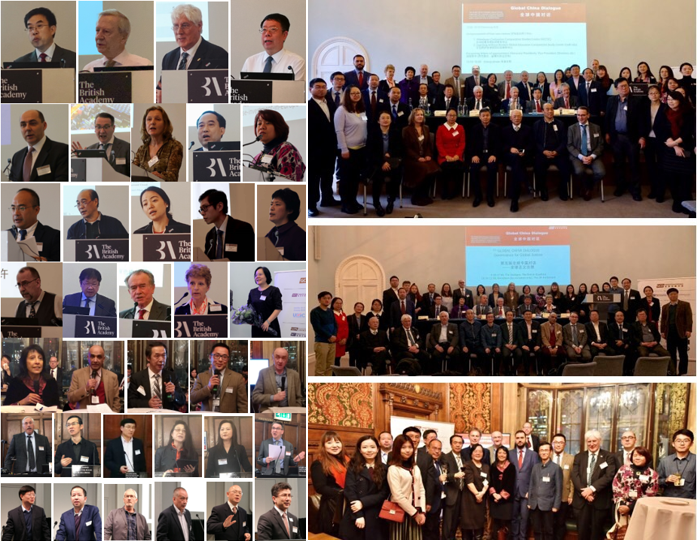 We are pleased to report that in the past year, thanks to all your support in the form of academic input, expertise, fees and subscriptions to our journal, Global China Institute is continuing to grow and thrive. If you are not yet a member but have an interest in studying China in a global context, exploring human society and working towards global governance, please click the link to find out more about the benefits of membership. Fees range from £18 to £38, depending on the type of membership you wish to take out. Thank you very much! With warmest regards and best wishes for a very happy and prosperous Year of the Pig!